Reading for Pleasure - The Countdown is On! There are 37 days and 15 hours until I fly out to London on my scholarship trip to find out more about reading for pleasure initiatives in the UK. Just typing this causes flutters of anxiety and I have to take a deep breath to relax. I am really excited about the trip, I just still have a lot to do. I have had a recurring dream where I am trying to find everything to pack and I am running late to get to the airport (so I try not to stress about the trip just before I go to sleep!). I extended my trip because I found out about the UKLA National Conference, which is on "Finding and sharing pleasure in reading" and takes place in the University of Cambridge! It happens the day after I was initially going to leave, so I am now staying until the 19th of March. Thank goodness I have an understanding principal. I am getting to visit schools in London, Hertfordshire, Ipswich, Norfolk and Scotland. I have appointments with a number of Trusts and non-profits who support reading. I am going to a day-long course on reading for pleasure. I am visiting Seven Stories in Newcastle upon Tyne and the Norfolk Children's Book Centre. I am really lucky to be meeting with Professor Teresa Cremin. 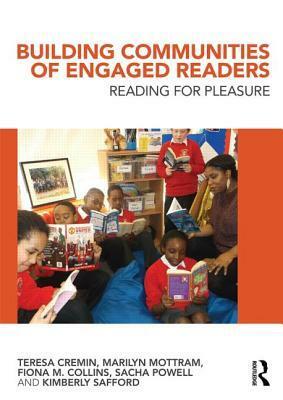 She is a prominent education researcher who has been doing a lot of work on reading for pleasure. I talked about her book at the bottom of my last post. I am also treating myself to a Warner Bros. Studio Tour on The Making of Harry Potter. I had to find something to do on my weekends! It has taken a lot of work to coordinate all the different visits, and I still have a couple of places to confirm. Relying on email takes time, and patience, as I know that my requests may be just adding to a busy day for the people who receive them. That said, I have been blown away by the number of people who have offered to: organise days with them that include visits to other schools in their area, drive me around and help me with accommodation. — Michelle Simms (@MSimmsNZ) January 14, 2017. It is a challenge not to get pulled down the rabbit hole and spend days exploring online when I actually need to work out other things like what clothes to take and how to fit them into a suitcase! This is the last of my blog posts about my best books of 2016. On Sunday, I posted about my best children's fiction and graphic novels and yesterday I added my best picture books. 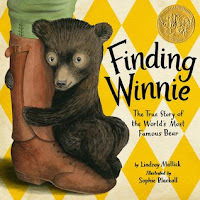 This is the story about how the great-grandfather of the author came to buy the bear, Winnie, that would eventually provide the inspiration for A.A. Milne and his famous stories about Winnie-the-Pooh. The fact that Winnie's journey to his eventual home at London Zoo took place during World War 1 makes it particularly interesting. Here is a video about it. 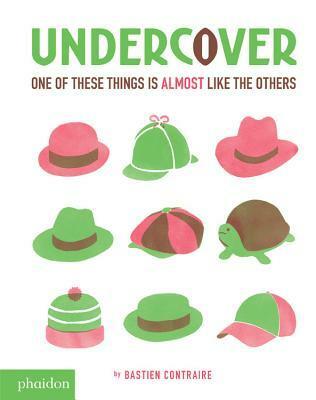 Last year, the theme for our Book Week was "Spies and Detectives". 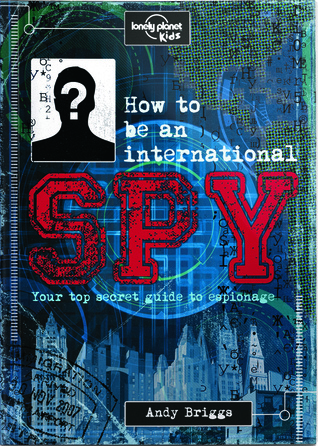 As a result, I read a lot of books about spies, and this was by far the best. It has lots of interesting information and useful tips. This is a fantastic true story about a group of children who live near, and often work in, a rubbish dump. When a man offers to teach music to the children there aren't enough instruments to go around. The ingenious use of rubbish to build instruments has a big impact on the students and their families. Here is a 60 minutes report about the orchestra. It's a really inspiring watch. I don't read a lot of YA but some of the books I read last year were amazing so I thought I'd share them too. 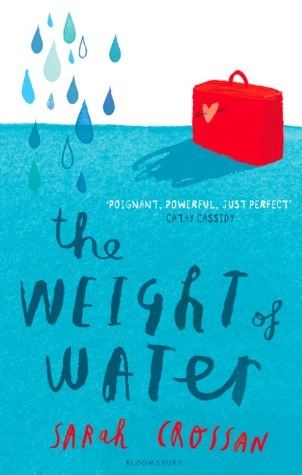 Sixteen-year-old Iris has a self-absorbed mother and has become a little obsessed with setting fires. She is brought to see the dying father who she's never met in an attempt to claim his fortune for her greedy mother. 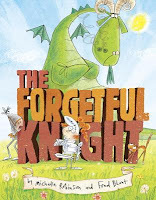 Three words to sum up this book - revenge is sweet! 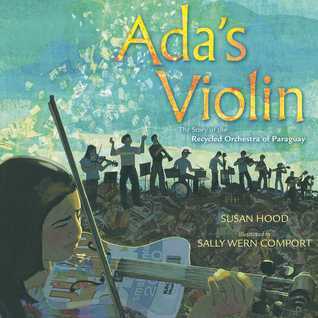 This is the free verse story of Viola, who journeys from war-torn Sudan to Cairo and then Maine. Her struggles with learning how to adapt to a new culture while respecting her old one, will resonate with immigrants and also provide an insight for others. A powerful book. This is another free verse story about an immigrant and the challenges she faces. In this case, Kasienka and her mother are Polish and have moved to England to find the father/husband who has left them. Kasienka encounters racism and bullying as she tries to deal with problems at school and at home. This is a moving, beautifully written story. I am not the only NZ librarian who has been inspired by this book, as evidenced by the fact that SLANZA (the School Library Association of New Zealand) has invited Rachel to be a keynote speaker at their conference in July. 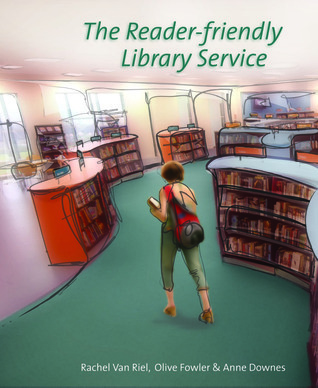 The book inspires a lot of reflection on how librarians promote books and reading. There is also a series of four videos of Rachel sharing her ideas, the first one is here. 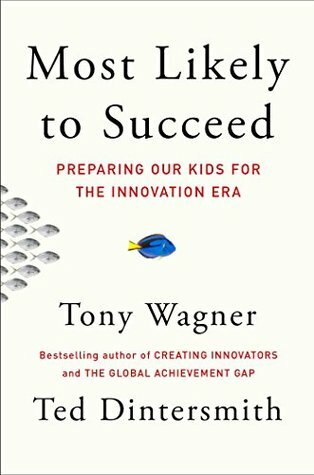 This book was recommended by a keynote speaker at an educational conference I went to. 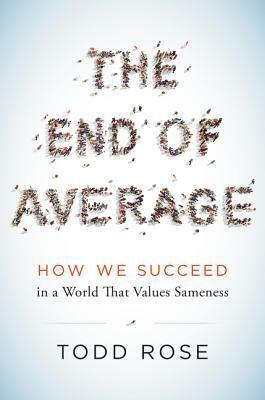 It is about the problems that can arise when we compare individuals to an "average" person. I was blown away by how it managed to challenge the assumptions in some of my thinking. Here is Todd's TED talk. I read this book because I am lucky enough to be meeting with Teresa Cremin when I am on my scholarship trip in England in March. The book is based on two studies by the UKLA (United Kingdom Literature Association) on teachers' knowledge of children's literature, and how they can improve it and build reading communities in their classrooms. I think this information may offer a way in the door so that I can work with our teachers to enhance their students' engagement with reading. This is something that I have been looking to develop after realising that I know very little about the ways our teachers model a love of reading in their classrooms. 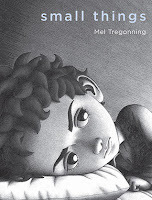 Following on from yesterday's reviews of my favourite children's fiction and graphic novels, today I am going to look at the picture books I gave 5 stars to in 2016. 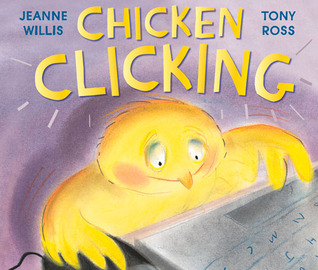 A humorous, cautionary tale about a chicken discovering the delights of the internet - first through online shopping, and then by finding a "friend". This amusing book teaches you how to conduct science experiments by coming up with hypotheses to check. Of course, the experiments in this case include investigating questions like "can a washing machine wash dishes?" and the results are often messy! I love it when teachers read this book aloud to their classes. I can normally tell it's happening when the howls of outrage start. Everything in this book is wrong, which makes it a whole lot of fun to read. There is a crazy little video to promote this book. 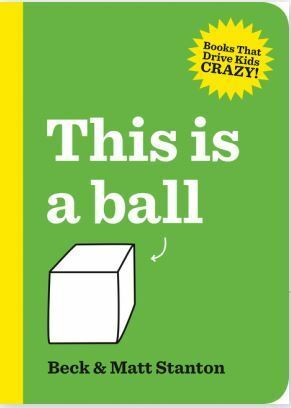 The book is equally wacky, which always appeals to me. It also has some interesting details about making a book (which do need to be separated from the parts about pirates and tigers!). Just before he goes to bed Timmy Bear tells his mama about his day. However, he tells it in reverse, starting with what has just happened and then talking about what happened just before that, and so on. 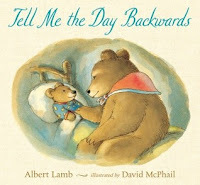 I think this bedtime story would inspire parents and children to have some fun and share their own day in the same way. 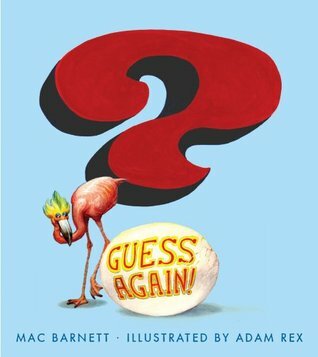 This is a wordless picture book that has readers look for the odd one out. The choice of the "different" objects is really clever and often humorous. It was surprising how much fun I had with this one! 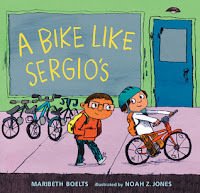 Here's what I wrote about this book in my post about diversity in picturebooks last year - Ruben finds a lot of money that has fallen out of someone's purse, enough to buy him a bike like his friend Sergio's. He struggles with what the right thing is to do with the money, given that his family sometimes doesn't have enough money for everything on their grocery list. A nice story that acknowledges income equality and has a great ending (but it doesn't involve a bike). 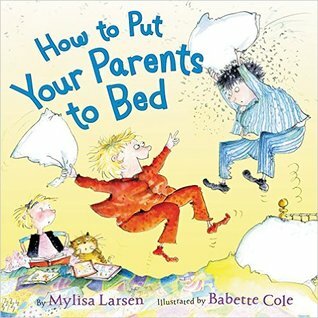 Babette Cole's illustrations are just delightful in this role-reversal story about a girl putting her parents to bed. 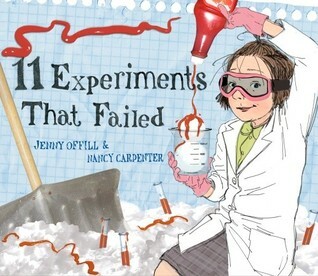 This is one of those books that parents will enjoy as much as their children. 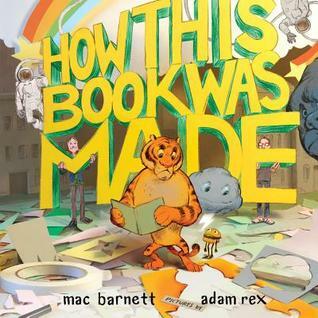 This is the second Mac Barnett book on my list. He has obviously had a lot of fun with this book, as he sets up a rhyme so that the logical answer is very clear...and then chooses a different answer altogether! 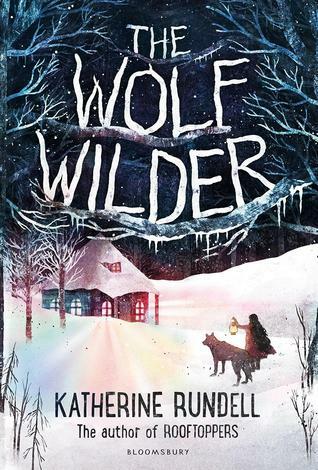 I can't wait to see what our students think of it, this was a holiday read so I haven't had a chance to share it yet. This rhyming picture book has a twist at the end, and I would recommend reading it through before reading it aloud, as I think it makes it easier to understand how best to read it. The narrator seems confused about what has happened in his story about a knight who sets off on an adventure...on a horse? By himself? With a sandwich? With a sword? A lot of fun and definitely one for repeat readings. What a special book that celebrates the many different kinds of families there are. 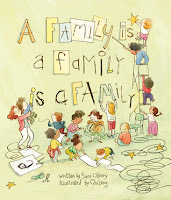 Children in a classroom talk about what makes their families special. A gentle and warm book that belongs in school libraries everywhere. 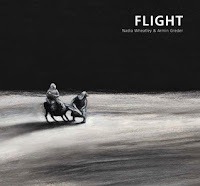 This is a powerful and moving sophisticated picture book. It evocatively illustrates what refugees may go through in order to flee their homeland. It would be a great book to accompany any current events discussions about refugees. Up tomorrow, a hodge-podge of children's non-fiction, some YA and some awesome professional reading. Here are my best reads from 2016 (not necessarily all published in 2016). 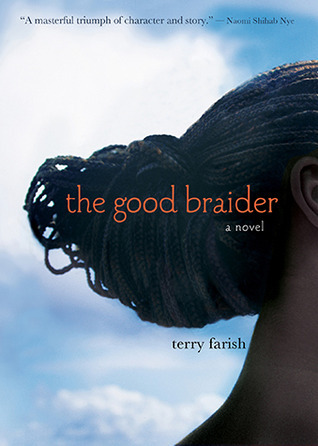 I have enjoyed going through my Goodreads account and remembering all these wonderful books. I purchased this book after one of our Year 1 classes got completely and wonderfully hooked on the Mercy Watson series. I wasn't sure the magic would transfer to a book in which Mercy only makes a cameo at the end. I needn't have worried, this is a special book that the kids enjoyed as much as I did. The love Leroy has for his horse is something very sweet. I loved Kwame Alexander's last verse novel, The Crossover and was happy to find this one just as enjoyable. Here, twelve-year-old Nick plays soccer and has to work out how to deal with girls, bullying and his parents' divorce. The book is beautifully written and it has a rapping librarian called The Mac. What's not to love?! This is one of those special books that takes you to a different place and brings it, and the people in it, completely alive for you. Add to that the fairy-tale like quality, the setting of the Russian wilderness, plucky children and loyal wolves...a real winner. I had a real lump in my throat at the end of this book, and that doesn't happen to me very often. The book focuses on the lives of four children in different parts of America, in the 48 hours prior to the 9/11 attacks. 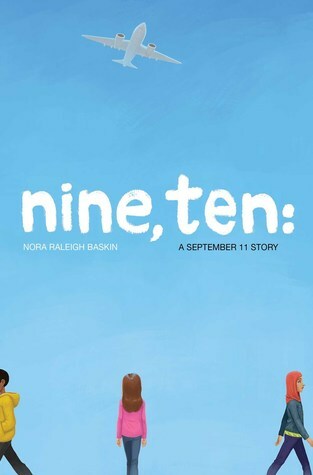 I particularly liked the inclusion of the character Naheed, who is Muslim and wears a hijab. 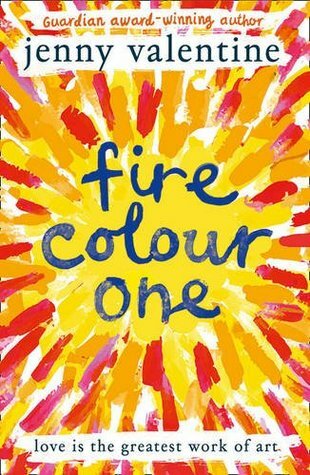 This book switches between the perspective of Ravi, an Indian boy who has just emigrated to the U.S., and Joe, a boy in his new class. I love that it provides an insight into the challenges faced by someone adapting to a new culture. It also deal with bullying and with Joe's auditory processing disorder. A great book for having discussions about the value of trying to understand how other people are feeling. Oh yeah, this book was FUN!!! 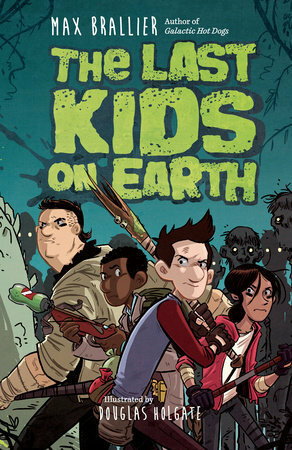 Combining a monster apocalypse, zombies and loads of humour within a part-text, part-graphic novel format. I've loosely classified this as horror but it isn't really that scary. We haven't processed this book yet but I know it's going to be very popular, and I can't wait to read the next one in the series. This is another incredibly fun book, which has been extremely popular with our students. D.J. lives in a bustling family with siblings who all seem better at everything than he is. 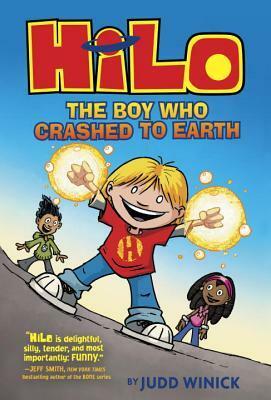 Then he comes across Hilo, a boy who has lost his memory and appears to have fallen from the sky wearing nothing but silver underpants. Hilo has such an infectious energy, he makes you smile, want to stay "outstanding!" all the time and greet people by saying "aaaah!!" (read the book to find out why). Yippee! The second book is as good as the first! 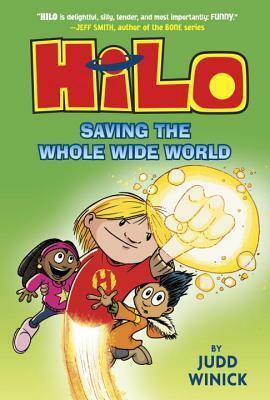 D.J., Hilo and Gina are back trying to stop alien creatures from destroying the earth. 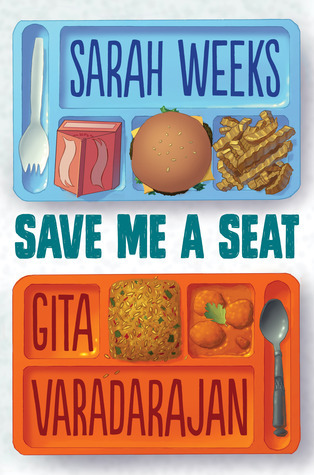 The third book is out in February and will be a great way to start spending this year's book budget! I had very high expectations about this book because it had been raved about by several of my fellow librarians (I had to wait impatiently while it was ordered in for me). 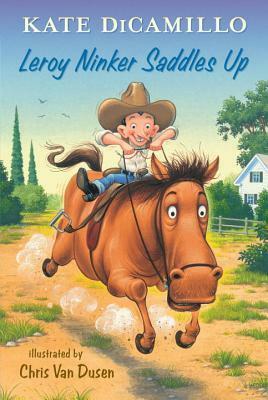 I was not disappointed, I was immensely affected by this book. It is powerful in its simplicity, needing no words to connect you with the main character and soak up his feelings. 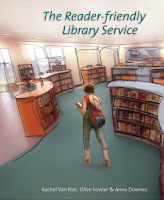 Desna, a school librarian in Christchurch, has written a more in-depth review of this book here. Jack lives with his mum and his younger sister, Maddy, who has autism. One day he trades his mum's car for a box of seeds (because Maddy, who doesn't usually speak, asks him too). The seeds create a magical garden, which leads to lots of crazy adventures. 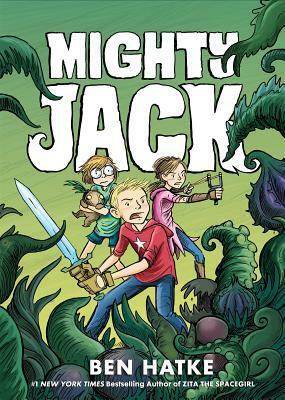 This adaptation of Jack and the Beanstalk ends on a huge cliffhanger - if you haven't already read it you might be better to wait until September when the second one comes out. Tomorrow, I will move on to my top picture books for 2016, followed on Tuesday by children's non-fiction, a little bit of YA and some professional reading.